You can read the full review here. The Private Life of Elder Things is available from Amazon and other online bookstores. About The Private Life of . . .
Adam Gauntlett, one of the contributors to The Private Life of Elder Things, writes briefly about his ideas behind the book over on the Pelgrane Press website. … what’s in this collection, you ask? Eleven chilling tales, that’s what. Each of them inspired by an aspect of the Mythos we’ve come to love. One of Keris’, for instance, comes to you in part because of the old ghoulish scenario Paper Chase. Adrian’s written stories about Deep Ones, Shoggoths and similar large and menacing things, which is about right for a fella who’s eight foot tall and growing every year. As for me, I’ve reminisced about strange dogs, rats, and derelict ships, as is my wont. 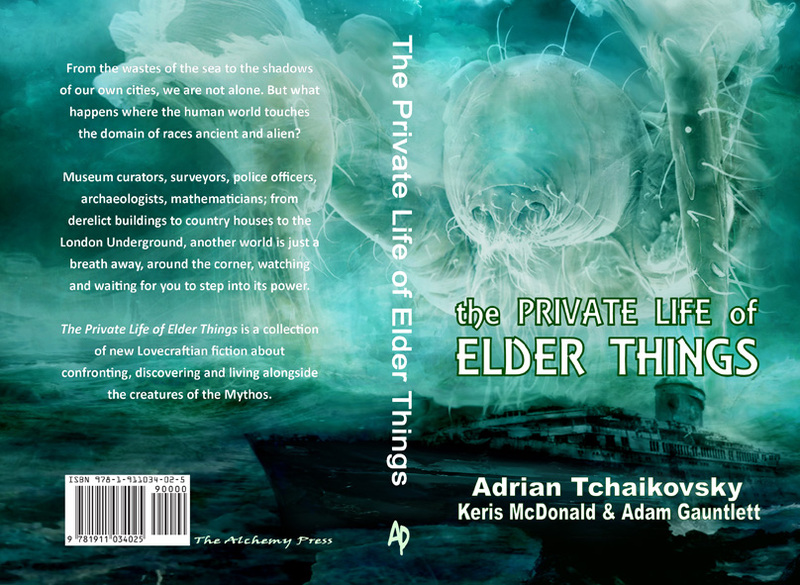 The Private Life of Elder Things is available from Amazon (also in Kindle format) and other online book dealers … including Foyles. It can’t be difficult, surely, to organise a book launch (as part of the recent FantasyCon weekend). After all, I have organised and co-organised the British Fantasy Convention itself – several times – plus many one-off events. Ah, as with all best-laid plans, it didn’t quite go according to – well – plan. If you want to read all about it pop over to my personal blog. …belongs to the bookshelf of everyone who is fascinated by Lovecraftian weird fiction. It’s one of the best weird fiction collections of the year and deserves to be read by ardent and enthusiastic fans of the genre. Weird fiction doesn’t get more entertaining than this, so please invest a bit of time into reading this marvellous collection. Highly recommended! 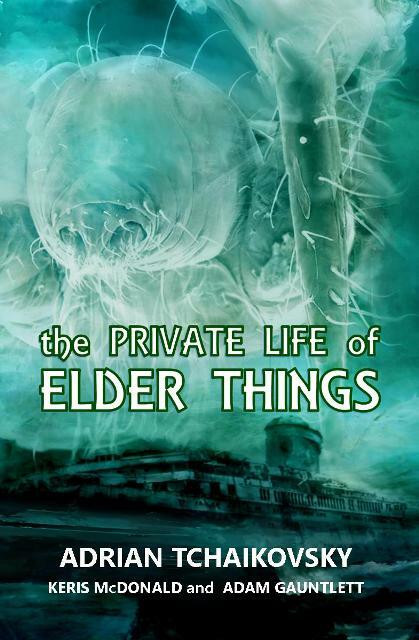 The Private Life of Elder Things is available from Amazon and other online dealers. A Kindle version is on its way.